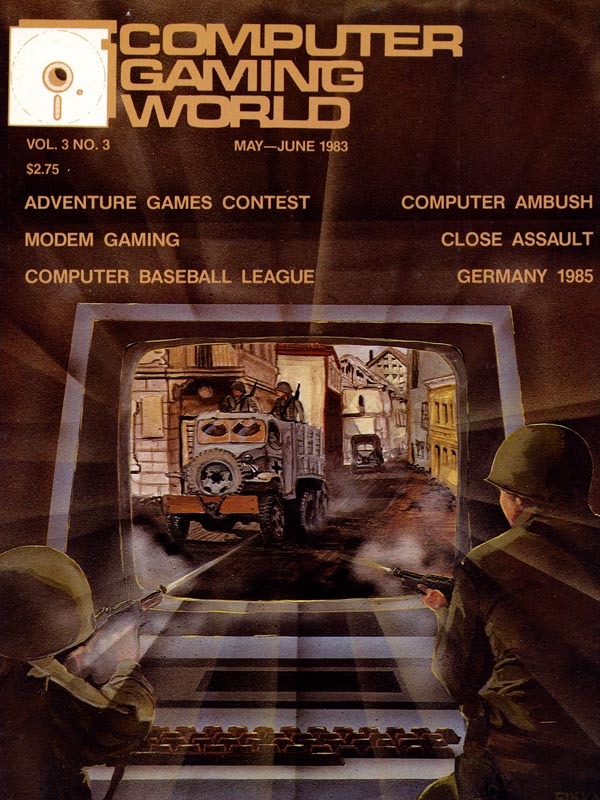 Computer Gaming World Comments and Highlights: Wargames and strategy games were the main subject of the May-June 1983 issue of CGW. Close Assault, Computer Ambush, and Germany 1985 were reviewed, along with Sir-Tech�s new Galactic Attack. This issue also marked the introduction of a tele-gaming column.